Are you considering selling your home? Curious about the best strategies to bring success in today’s market? 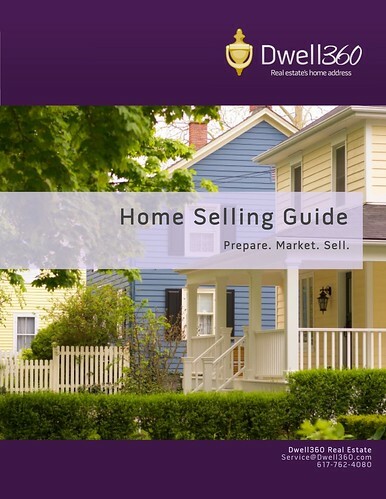 Get our Home Selling Guide instantly. Click the link above to receive our Home Selling Guide, containing our top 10 things to do before you sell your home in the metro Boston area. Our guide is full of helpful advice for home owners and their agents. Get information on identifying your target buyers, staging your home for sale, maintaining your safety, and how to stand out online. The Internet is the most powerful tool for selling real estate. More than 90% of buyers start their search for a home on the Internet. This is why listing your home in the Multiple Listing Service (MLS) is critical for maximizing your exposure. First, most of the major real estate websites online are drawing their information directly from the MLS. That’s right, by listing on the MLS, your home will be seen on sites like Trulia, Zillow, and Realtor.com! Second, the MLS is where most buyer’s agents will search for homes to show their clients. Including details of your home, a compelling description, floor plans, and premium photos in your listing will help attract the attention of buyers and agents alike. The more exposure you have, the larger your pool of buyers. Get access to more insider information by clicking the link above to get the full guide. And let us know if you need any help along the way. At Dwell360, we’re here to support all of your real estate needs. Contact us today!